So you desperately want relive the 60ties without having actually experienced it for yourself? Well, that means you’re weirdo but on the upside: The Brian Jonestown Massacre has something nice store for you anyway. 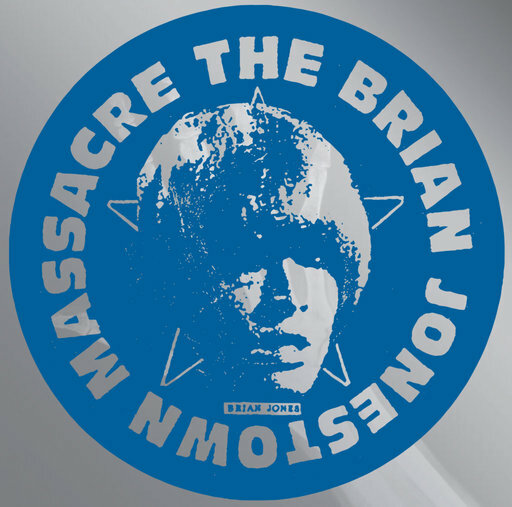 90ties rock outfit The Brian Jonestown Massacre gained much of its fame from the documentary Dig! about the troubled relationship between The Brian Jonestown Massacre’s and the The Dandy Warhols. Or better said, the colliding personalities of both frontmen Anton Newcombe and Courtney Taylor-Taylor. The documentary left the impression that The Brian Jonestown Massacre were no longer a band but in fact steadily kept releasing album after album in the past decade with varying degrees of success. This self titled work is the band’s eighteenth full studio album clocking at 38 minutes playing time. With ‘Drained’ BJM hits the ground running. This song is archetypal for Anton Newcombe and his fellow band members. Psychedelic rock and garage influences predominate here. It’s a type of song we heard a zillion times before but somehow still seems relevant when its coming from this band. A lot of other songs on the album are drenched in 60ties psych as well. The use of instrumentation brings some much needed variation. On ‘Cannot Be Saved’ the one guitar solo twists over the other while the more basic ‘To Sad To Tell You’ is deepend with some organ play. It’s Newcombe’s way to keep a chewed up genre interesting. This alone is a fairly nice achievement because The Brian Jonestown Massacre seems like a band but in fact is more of a one man show. 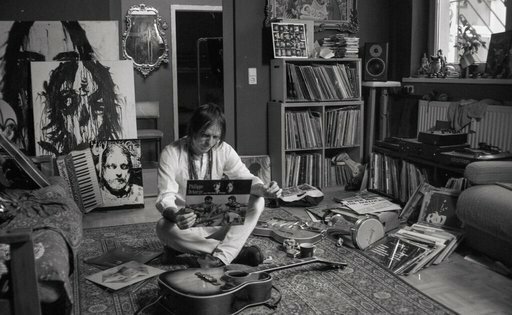 Many old members of the lineup are currently living in the US while Anton Newcombe works from Berlin and don’t forget he can play around 80 instruments himself. Only for live gigs he lets a few of his friends fly in so the rest comes straight from Newcombe’s mind. Back to the album. After a few listens it’s clear Newcombe plays around with several concepts. Sometimes it seems he had a few drinks to many like on ‘What Can I Say’ which is constructed around a typical slacker riff. On other occasions, like on ‘Remember Me This’, he brings us to the 60ties LSD disco floor full of lesbians with Jonathan Richman dancing in their midst. The day after a nice evening like that is best spend with the dragging ‘My Mind If Filled With Stuff’. This instrumental song lightly reminds of the Creedence Clearwater Revival which could be a very misplaced reference because the 60ties is way before my time. The reason I decided to review the latest BJM is the second song of the album. Once in a while there is that one song you instantly fall in love with. ‘Tombes Oubliées’ (or in plain English: ‘Forgotten Graves’) for me is exactly just that sort of song. It’s sultry, it’s dusky, it’s seductive, oh well it’s everything I need at any point of the day. On ‘Tombes Oubliées’ Tess Parks takes over the vocals with a wall of euphonious guitars created by Newcombe behind her. It’s a trick they played out before on albums the released to together. But still, ‘Tombes Oubliées’ is pure brilliance. Although the eighteenth BJM has a few high peaks it still is a worthwhile album to listen to every now or then. But let’s be honest, you also could easily take another album from BJM’s deep catalogue and listen to that. So I don’t think we have a top 5 album year list contender here but who doesn’t want to hear a sublime rock song every now and then. This entry was posted in WRM and tagged 2019, 60ties, A Recordings, album, Anton Newcombe, cd, Courtney Taylor-Taylor, Creedence Clearwater Revival, Dig!, garage-rock, Jonathan Richman, Music, psych, psychedelic rock, review, Rock, Tess Parks, The Brian Jonestown Massacre, The Dandy Warhols. Bookmark the permalink.